Who doesn’t love the feeling of their feet in the sand? 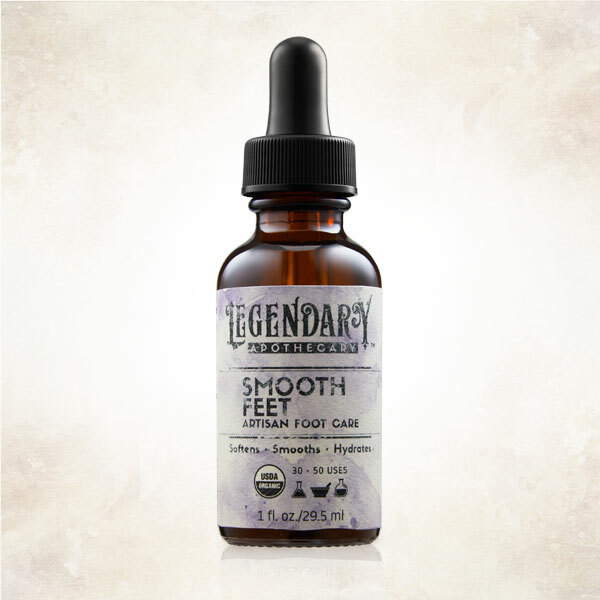 It might be time to put the flip flops away soon, but you can get beach-ready feet all year long with this smoothing product from Legendary Apothecary. Using all-natural and vegan ingredients, this formula hydrates your feet to leave them smooth, soft, and ready for the beach! Even when it’s time to switch to boots, keep this formula handy for soft feet year-round. Beach hair is definitely one of our favorite parts of summer. Is there anything better than leaving the beach with Instagram worthy waves and sun-lightened hair? We don’t think so. Ouai’s Sun of a Beach gives you “vacation highlights in a bottle”, lightening and brightening your hair and enhancing your natural highlights. We can’t get enough of this spray and it’s the perfect way to bring your summer beach look into fall! Want to keep your golden glowing skin for just a few more weeks? We get it. Isle of Paradise’s Self Tanning Drops are the best way to keep your natural glow and get your sunkissed skin, even when the sun is hiding away. These drops come in three shades- just add them to your moisturizer to create your perfect glow. Body oils are one of our favorite summer treats- they give you all the moisture you need without any grease or residue! Made with ingredients like rosehip oil, noni fruit extract, and sunflower seed oil, this is the perfect hydrator to keep your skin glowing all year long. We all know the best part about summer is that beautiful glowing skin. This face mask lives up to its name, giving you fail-proof results and Goddess skin. The formula, featuring Bio Nympth Peptides and Rosehip oil, boosts collagen while hydrating the skin and giving you smooth, clear, and youthfully dewy skin. You can’t have summer without the perfect scent! This fresh fragrance from Jo Malone has notes of grapefruit, orange, lime, and spearmint– the perfect refreshing summer treat! Powerful Guaiac Wood, Cedarwood, and Vetiver complete the scent– it’s the perfect summer treat to wear all year. What products do you use year-round to keep the spirit of summer alive? Let us know in the comments below!